On Sunday, February 5, after the biggest week of his career, Subramanian Swamy strode into a public meeting in Mumbai. In a darkened auditorium, he dug deep into India’s history to show a rapt audience how “Indian traditions and old values” did not support corrupt practices. Through his hour-long lecture, the Janata Party president elicited thunderous applause, repeated slogans and chants of “Vande Mataram” and “Bharat Mata ki Jai”, and much tittering when he launched his trademark broadsides against the Nehru-Gandhi parivar. The lecture—organised by Sucheta Dalal’s Moneylife Foundation—was focused on the implications of the Supreme Court’s recent verdicts centred on the 2G scam. Though all of them were there to attend a lecture on financial literacy, you could be forgiven for thinking that the few hundred-strong audience (largely middle- and upper-middle-class) were right-wingers. Many, incidentally, were from the Anna Hazare movement where too anti-corruption zeal and Hindu imagery-morality have segued into one another. 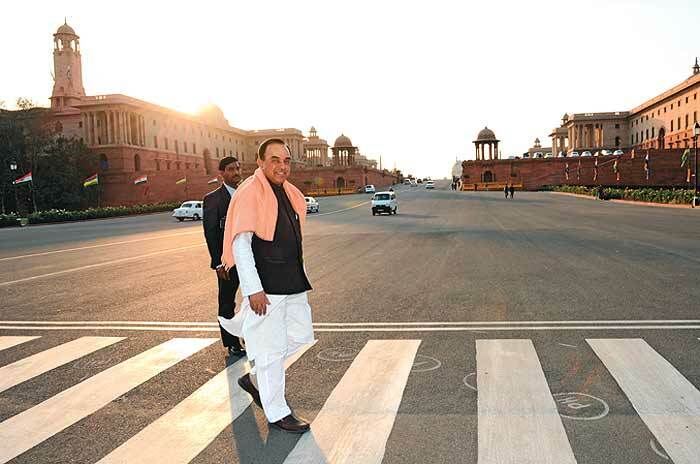 That’s the constituency Swamy now strides across. He identified three forces that are engaged in the anti-corruption battle in India: one, independent and committed people like himself; the Hazare movement; and Baba Ramdev whom he hailed as a leader with tremendous following among the poor and backward. “Imagine if all three forces work together,” he said, to another round of applause and sloganeering. The Harvard-educated economist-turned-politician had the look of a cat that has lapped up lots of tasty cream. He’s all over TV—and never seems to stop tweeting to his over-50,000 followers. And why not? Swamy (who did not speak to Outlook for this story) has played a crucial role in the legal campaign in the 2G cases. He has won two—getting a time-frame to sanction prosecution against public servants and the judgement to scrap the 122 telecom licences. He has lost one—the move to make Chidambaram a co-accused—but plans to challenge this in the higher courts. This has given the perpetual outsider—a pariah—a stake in national consciousness. Almost simultaneously, he’s making political moves. On February 4, the 72-year-old three-term Lok Sabha MP announced a new front, Action Committee Against Corruption in India (ACACI), with former RSS ideologue K.N. 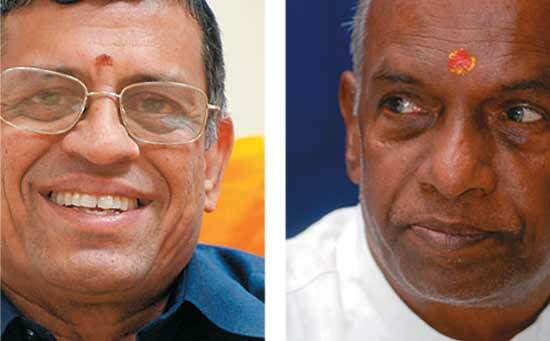 Govindacharya and S. Gurumurthy by his side. This isn’t just another crusade against graft in the country. Insiders confirm that the move had come after Swamy’s year-and-a-half-long attempts and hope to join the Bharatiya Janata Party had finally been dashed. Along the way, he is also finding time to track matters like India’s mammoth jet fighter deal, where France’s Dassault has pipped EADS’s Eurofighter. London’s Sunday Times quoted Swamy as saying that he was told that the Eurofighter had won the $10-billion deal, but then suddenly the French company ended up bagging it. After years in the political wilderness—he was last in Parliament in 1999—Swamy is enjoying all the positive attention he is getting. But can he ever escape the contradictions of his past? Seen by many as a rabble-rouser and a man with a destructive streak, he has also last year spewed venom against the Muslim community in an inflammatory article in a Mumbai-based newspaper. For all his brilliance—which most admit instantly—Swamy is painted in a negative light, as a destroyer rather than a builder. “Nobody knows where he will strike next, he always has an ulterior motive. He does have an extreme right agenda,” says M.G. Devasahayam, a retired IAS officer who runs the Forum for Electoral Integrity and is sparring with Swamy on his pet theme of rigged electronic voting machines. Similarly, he has been making below-the-belt allegations about a Union minister to the prime minister. Surprisingly, very few people have bothered to take this political flame-thrower on. His strong propensity to litigate—and ability, his supporters argue, to find out things about people—gives Swamy an untouchable aura. This has been perpetuated by his many “scalps”, from Karnataka CM Ramakrishna Hegde to Tamil Nadu CM Jayalalitha (who is now “a friend”). He has also played a key role in bringing down two governments, that of V.P. Singh in 1990 and the 13-month NDA government in 1998 (when he organised the infamous tea party). “Like the last of the Bourbon kings, he (Swamy) never forgets or forgives,” says Rajya Sabha member Mani Shankar Aiyar, who says Swamy hasn’t spoken to him for two decades now. 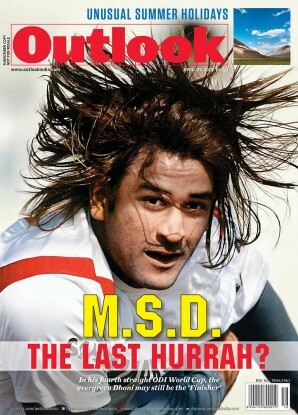 Chawla goes on to write that one of the three approached former attorney-general G. Ramaswamy at midnight to find a way out, but Chidambaram didn’t listen. It took an intervention by former prime minister Chandra Shekhar to ensure that Deve Gowda stayed proceedings against the three trustees. Swamy has not forgiven Chidambaram since, or so that story goes. Sources close to Chidambaram told Outlook that “he (Swamy) has more followers on Twitter than in flesh and blood”. It is also reliably learnt that action is being planned vis-a-vis some of Swamy’s scurrilous tweets. While Swamy hates the phrase maverick, his friends feel he’s happiest working from outside the system. This is a recurring theme. “Swamy is a leader in search of a party,” says Cho Ramaswamy, editor, Thuglak. “He’s the kind who won’t submerge himself in a party, he’s always himself, he’s independent, just like me. He has every right to be like that, take it or leave it.” There’s no doubt that he has got support from people across “the length and breadth of intelligentsia”, as Swamy’s wife of 45 years, Roxna Swamy, a Supreme Court advocate, puts it (see interview). The fact that her father was an ICS officer would have helped too. Swamy’s old schoolboy, teacher-student and the powerful Tam-Brahm networks pitch in with documents and data. That doesn’t seem to be happening in a hurry. As a former ideologue of the Sangh explained, “The opposition came from second-rung leaders like Arun Jaitley, Sushma Swaraj, Venkaiah Naidu and Narendra Modi who see Dr Swamy as a threat.” Remember also that former prime minister A.B. Vajpayee has been a bitter foe of Swamy’s. “The BJP wants to ride on issues that Dr Swamy picks up but he will always remain an untouchable for them,” says the former ideologue. S. Gurumurthy, K.N. Govindacharya, Kamal Morarka The last named was Swamy’s colleague in the Chandra Shekhar ministry, but the other two have found common cause with the gadfly in their views on issues dear to the right, especially Kashmir, Muslims, swadeshi and the Ram Sethu project linking India with Sri Lanka. Sonia Gandhi Swamy’s relentless and scurrilous attacks on the UPA chairperson have now extended to her son Rahul Gandhi and son-in-law Robert Vadra. Claims he was offered prime ministership by Sonia in 1999, which he declined. 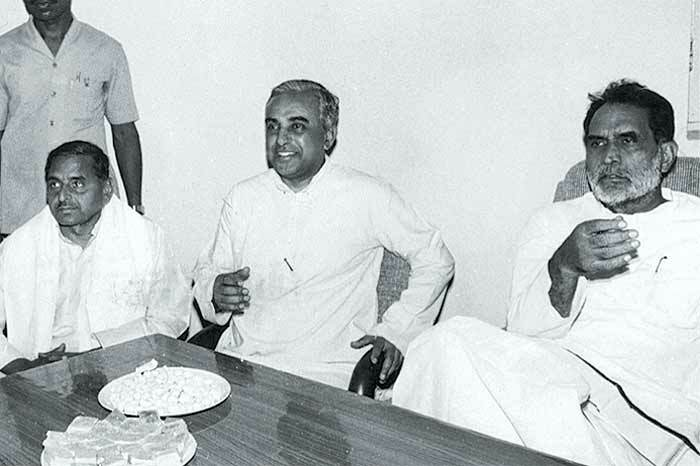 Atal Behari Vajpayee Initially egged on by Morarji Desai, Swamy’s hatred for Vajpayee is legendary. Colourful stories about the bachelor’s night life and drinking sowed the seeds of an irreversible rift with BJP. Ramakrishna Hegde Watched over by H.D. Deve Gowda, amplified the corruption cases against then Karnataka CM Ramakrishna Hegde, and literally put an end to his political ambitions. 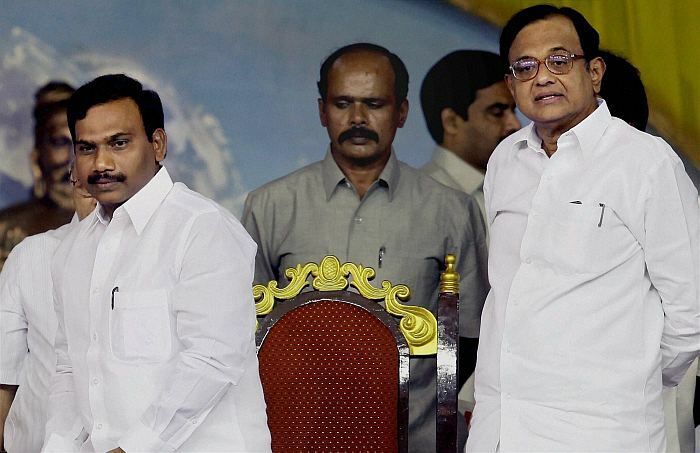 P. Chidambaram Has been targeting his former “student” since the mid-1990s. Dashing off letters to the PM with wild and personal allegations, Swamy promises to contest 2G court verdict and make the home minister a co-accused in the scam. Rajiv Gandhi Swamy has never personally attacked Rajiv and had good access to him, and always claimed they were friends. His name did crop up in the Jain Commission report looking into Rajiv’s assassination in 1991, but nothing came of it. 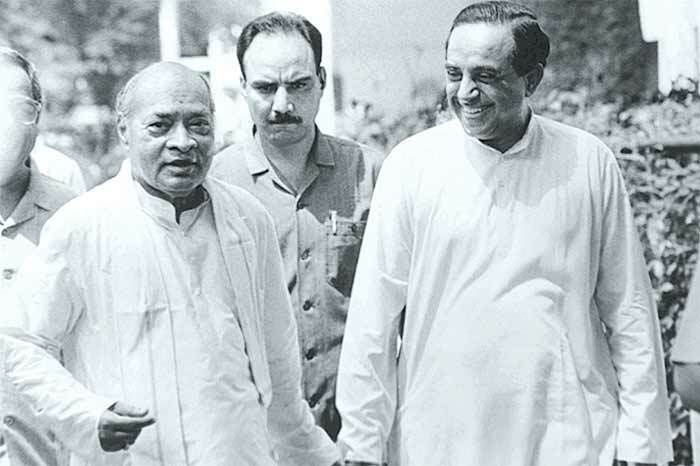 Narasimha Rao Had good relations, particularly as Swamy was also close to controversial godman Chandraswami. Rao gave Swamy a cabinet minister rank as a trade negotiator in the mid-1990s. Manmohan Singh Despite 2G, Swamy has never personally attacked the PM, and says he is actually supporting him by exposing those around him. Claims that he crafted the blueprint of the economic policies followed by Manmohan in the 1990s. Jayalalitha Has an on-off relationship with the Tamil Nadu chief minister, whom he famously introduced to Sonia Gandhi at a “tea party” in 1999 which brought the Vajpayee government down. Though corruption cases he filed against her in the 1990s continue to play out, they are now friends. Chandra Shekhar The Janata Party chief expelled him in the late 1970s, but Swamy patched up and served as minister in Shekhar’s government. 1964: PhD in Economics at Harvard under Nobel Laureate Simon Kuznets. Authors paper with Paul A. Samuelson. 1969: Invited by Amartya Sen to join Delhi School of Economics (DSE) but offered only a reader’s chair instead of full professorial chair on Chinese studies, because of his pro-market views. Joins IIT-Delhi as economics professor. 1975: Flees to US during Emergency (via Chennai and Sri Lanka) disguised as a Sikh. Joins Harvard as visiting professor. 1976: Stuns Rajya Sabha by reappearing briefly: “I have a point of order. There is no obituary reference for democracy. It has also died.” Flees again. 1977: Elected to Lok Sabha. Morarji Desai proposes his name as finance minister, which is vetoed by A.B. Vajpayee. 1980: Re-elected to Lok Sabha. Persuades Deng Xiaoping to open Kailash Mansarovar in Tibet to Hindu pilgrims from India a year later. 1990-91: Cabinet minister for commerce, law and justice in Chandra Shekhar government. Feb 2012: SC cancels 122 2G licences of telecom companies on the petition filed by the CPIL and Swamy/ Trial court dismisses plea to make P. Chidambaram a co-accused in 2G scam. China: Chinese economy scholar. Negotiated with Chinese govt to allow Indian pilgrims to visit Kailash Mansarovar. Israel: Early advocate of strong ties with Israel. Played key role in India establishing diplomatic relationship. LTTE: Viewed Tamil Tigers striving for separate Eelam in Sri Lanka as part of problem, not solution. Wants LTTE ban to stay. Sethu: Opposed to Indo-Lanka link project. Says it hurts sentiments of those who believe Rama walked the strip. EVMs: Believes Congress and UPA are winning elections only because electronic voting machines are being rigged. Income Tax: Has consistently argued that personal income tax should be scrapped, saying it generates black money.